Thats true, the front wheel comes off center for 1-2mm. But it is not noticable when you ride, especially not on dirt/mud roads… I have had this “off center” setting on my KTM 690 smc for some years and have nerver had any problems… The solution to solve the problem with of center is to have a complete enduro front brake system you switch with when you switchw wheels between smc and enduro. Its really nice post. 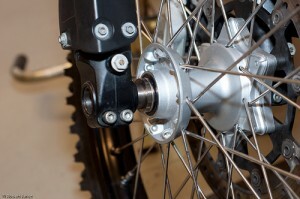 Please could you tell me is it rear HUB on SMC and Enduro same? 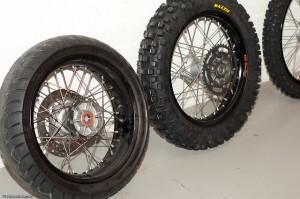 I looking to find an complete set of enduro wheel like spare ones for my 690 Enduro R to have one with knobs and one set for roads. dont want SMC wheels. really nice that you enjoyed my post. 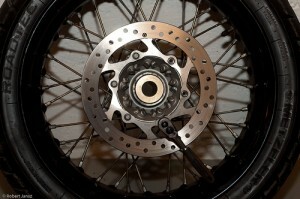 On my KTM 690 SMC 2008 is the rear HUB is almost the same. Brake disc is same and robber dampers with associated rear hub is the same. 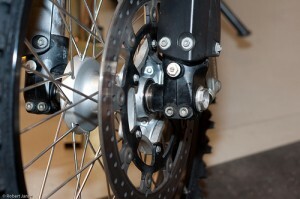 The only thing that differs is the rear sprocket. Cheapest solution is to try to find a used/second hand KTM 690 enduro wheel complete with sprocket, brake disc and robber damper HUB. There are to big difference from other KTM models or other manufacters to try to replace with a another set of wheels i think. 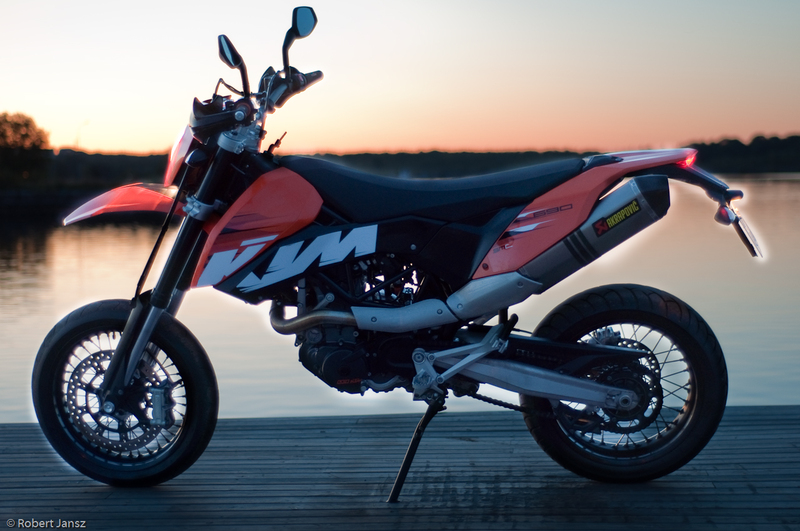 Pingback: KTM 690 SMC - Thoughts/Experience/Conversion? How did the bike handle on dirt? 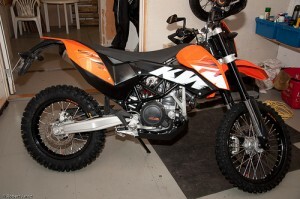 I have a 690 SMC and I’m looking to do this conversion. 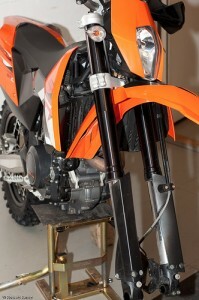 How were the front forks on dirt? 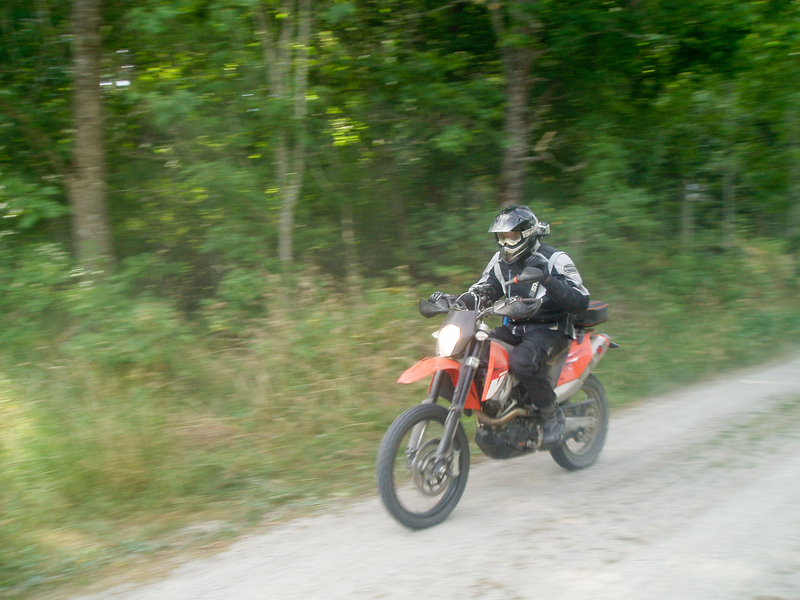 I found out that the bike handled pretty well on dirt and enduro tracks. The SMC suspension is a bit harder/stiffer then the Enduro version, but with a few clicks you can change the front fork and rear suspension to be softer. Its the same with the engine mapping, the best result and driver experience i got on dirt was when I put the engine/fuel mapping in normal mode (not race or eco). Why the front caliper rubs on 21 inch wheel but not 17inch front wheel? Is it because the wheel hub are different? 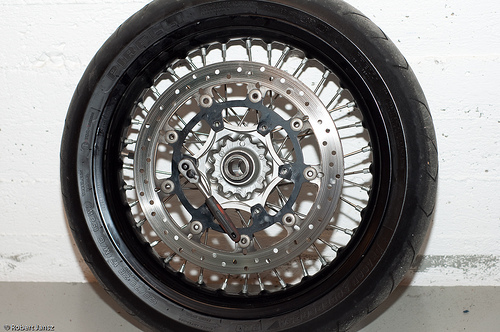 If you were to lace the 21 Inch wheel with the 17 Inch wheel hub, do you think it would rub? Could you measure them? 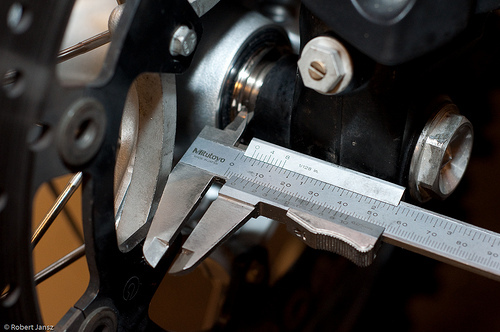 Also, by moving the wheel off center how the disk sill align with the caliper? Hey, is it possible to sent photos to my e mail? 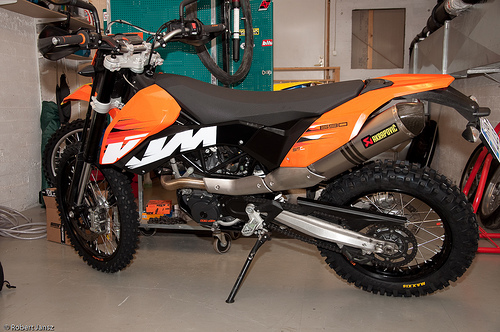 I have same problems with my KTM ! 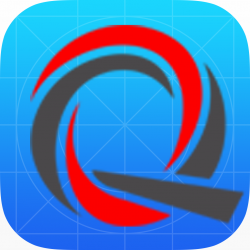 I have updated my site today, and some of the images didnt export/import correct. But you should se all of the pictures correct by now. Please leave a reply if you dont se any images. Thanks for this how-to, I am going to do the same conversion. Are you using a 2nd spacer between the hub and the front disc or only the standard smc spacer? 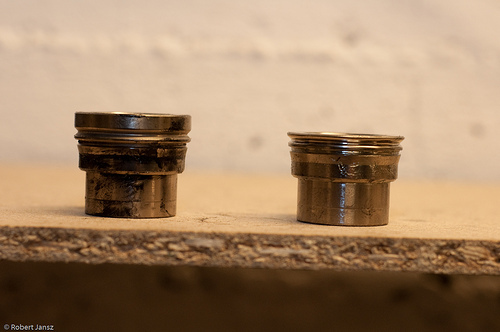 And if you add 2mm on the left axle bushing, shouldn’t you take off 2mm on the other side, or is that not needed? I’m not using a 2nd spacer between the hub and the front disc. Only the standard SMC spacer. Thats because i’m using the SMC front brake system and the front brake disk is a bit larger then the enduro front disc brake. The front wheel comes off center for 1-2mm. But it isn’t noticeable when you ride, especially not on dirt/mud roads… I have had this “off center” setting on my KTM 690 smc for some years and have nerver had any problems… The solution to solve the problem with of center is to have a complete enduro front brake system you switch with when you switch wheels between smc and enduro. But thats nothing that I feel any need for, mostly because it works flawless now and its a more time-consuming process to change both wheels, disc brakes/caliper and the lever hold. 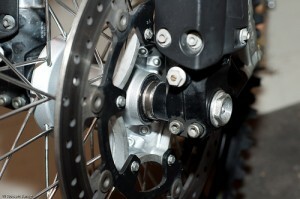 And its also very expensive to buy a full setup with booth front/back wheels inc. complete brake setup. 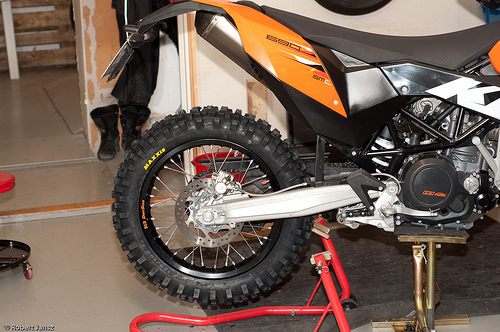 My setup with new enduro rims, wheels, spacers cost me a little bit more then $2000 when i bought this in 2010…. I’ve bought a complete (used) enduro wheel set yesterday. 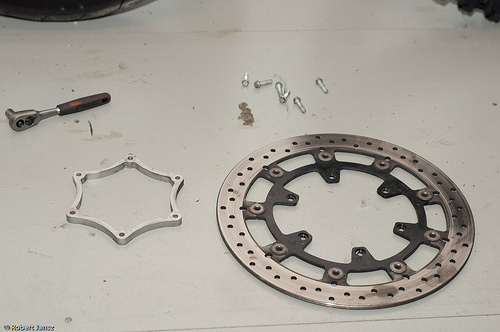 Looking for a SMC front disc + spacer now, so I don’t have to swap it out every time I change the wheels. So to have the front spokes clear the caliper, I have to put approx 2mm of extra bushing between the left side front axle, correct? Do I then have to take off 2mm on the right side bushing, or is that not required? And I can use the standard SMC front axle and bushes, right? same questions for me, hope to get a quick response! When I add 2mm on the left, do I need to cut off 2mm on the right side bushing? Or is that not needed? 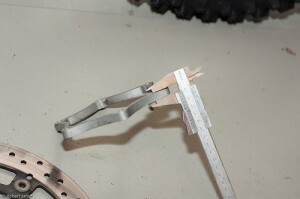 Yes, you need to decrease with 2mm on the right side when you are increasing the left side with 2mm. Hello. Im wondering how much this costed? 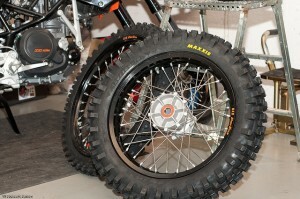 and does the off center have any inpact if you are driving high speed with the enduro wheels? Hello, the total cost was about €2000 in 2010 when I did this conversion. The offcenter of 2mm did not have any impact at all when i ride with the enduro wheels at higher speed. The off center is so small so you never gonna feel that when riding offroad. I did this conversion successfully, used it for two summers already. I bought some 2nd hand 690 enduro wheels with good tires. The only downside to this setup is that the front brake is too powerful. 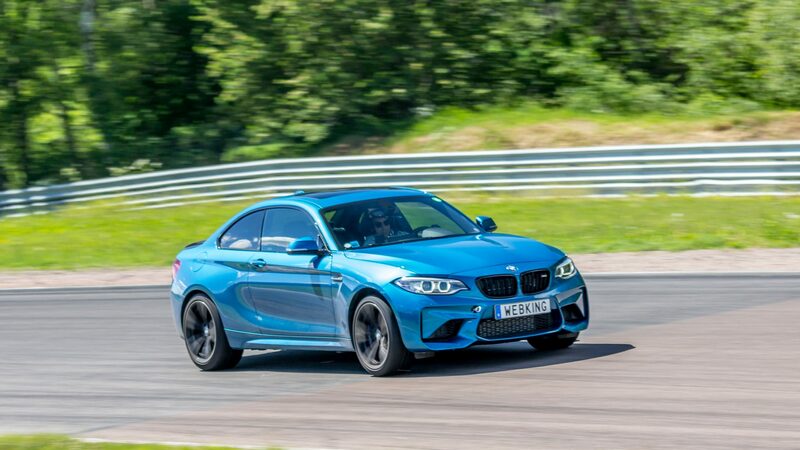 So when going downhill on bumpy surfaces, it’s difficult to control the power of the brake. 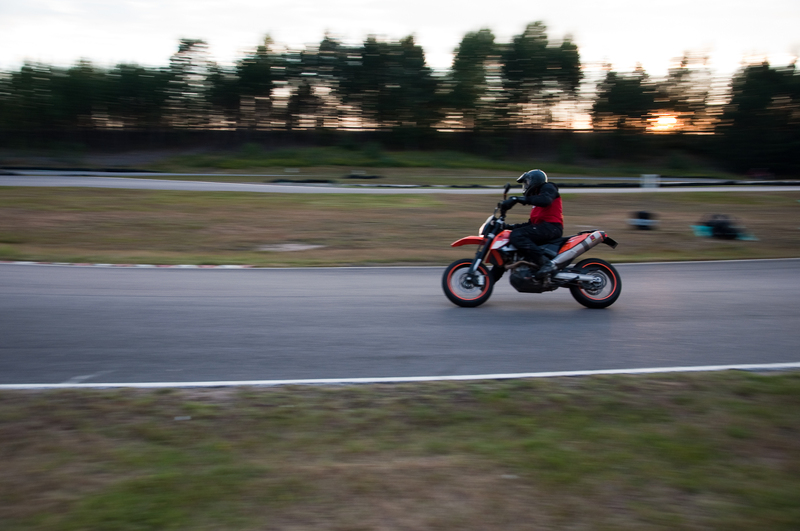 The suspension can be softened to make it decently ridable offroad, but for me (only 65kg) it is still a bit too stiff. Total cost for me was about 600 euro, including the custom spacers. 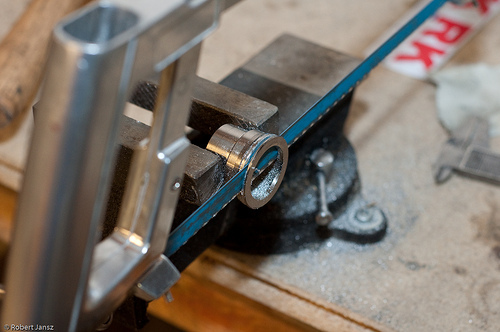 You will need to make a curved edge on the inside of the right side spacer ring, to make it fit on the axle. If I remember correctly, I took a bit off the original spacer on the right side to make room. I’m doing this now, but I just don’t understand, I’m sorry. 1. make some sort of spacer to increase the 10mm spacer on the disc by 2 more mm? 2. take the Enduro spacers and cut 2mm off each and put them next to each of the SMC spacers to fill the gap on the axel? Sorry for late answer, it was a couple of years ago i did this modification. 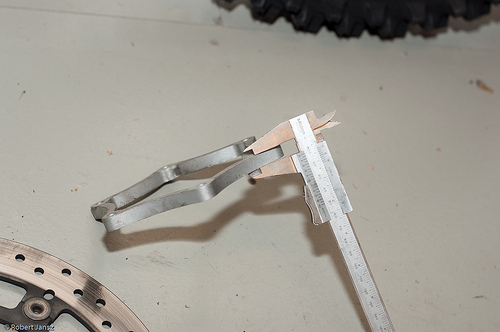 But what i remember is that you need to cut of the enduro spacers by 2mm to fit the gap on the smc axel. 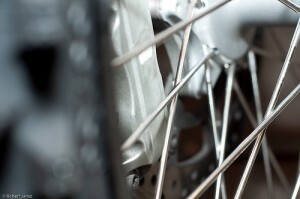 You also need to add some spacers to get the brake disch do not scratch the spokes. I converted my 2016 SMC R ABS to enduro yesterday. The back wheel was a straight swap out and in. I expected the front to be difficult as described, but…. 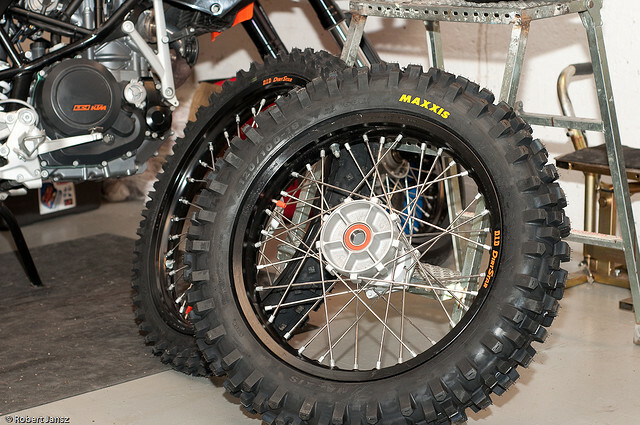 The new DID enduro wheel fitted perfectly to the axle and into the forks when using the SMC R width bushings. No cutting or anything required.